Meathead Movers is here to take care of the heavy lifting for you on your move to Laguna Beach. Our clean-cut student athlete movers are ready to get you safely settled into your new Laguna Beach home. Our Laguna Beach Movers are the ones to call when you make plans to move to this beautiful beach community. This city’s pristine location in Orange County near the Pacific Ocean means that you will have plenty of opportunities to enjoy many exciting activities once settled in. Obviously, people can enjoy the surf and sand, but there is so much more to do in Laguna Beach than enjoy the coastal water. A tasty walking tour of “The Village” introduces you to the many delicious food options you have within this city. Art-lovers will be delighted to find that they live near the Laguna Art Museum. Fans of the performing arts can enjoy their favorite pastime at the Laguna Playhouse and the Segerstorm Performing Arts Center in nearby Costa Mesa. When you hire us, you can be assured that your moving experience will be as pleasant as possible, because we have services for every aspect of your move. We have both short term and long term storage services, and packaging services through our sister company, Princess Packers. Our Princess Packers know how to package your fragile items so that they arrive at your new Laguna Beach destination in pristine condition. We even offer an elite moving concierge service that will connect you with whatever services you need such as housecleaners, handymen, and even babysitters. All the services we refer you to have been carefully scoped out that way you can be sure you are getting the best in the industry. You have many choices for movers, but you will find that our Laguna Beach Movers are the best. We make an effort to provide you with the best service by hiring respectable clean-cut student athletes who are in great physical shape and ready to do a great job for you. When they aren’t carrying your precious belongings, they jog to save you time and money. Additionally, our movers are concerned citizens who are active in the community and are working towards their education. Whether you need help for your local, long-distance, or commercial moves, Meathead Movers is here to help. We are the only moving company in California that offers a 100% satisfaction guarantee. So if you’re looking for Laguna Beach Movers, give us a call at and get a free quote. 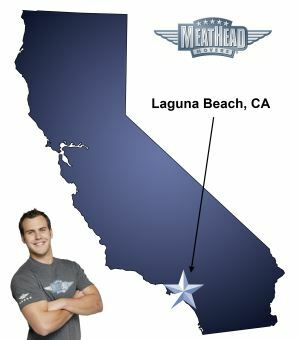 You can trust Meathead Movers to make your transition to Laguna Beach as stress free as possible. Moving to Laguna Beach? Here are some helpful resources. View more Laguna Beach resources. Your staff is professional, courteous and capable. They arrived on time, got to work and completed my assignment. Really!? Nothing was thought out. Nothing was done in a logical order or way. Their whole concept is to “run” when one is “looking” and act “interested” or “as though they hear you” when asking for handling of a particular piece of property. NO ... these men representing MEATHEAD movers YESTERDAY were NOT the ones who moved me two - three years ago. BUT ... if you have packed EVERY SINGLE THING YOURSELF... OR had Kristen and Mari pack you under a watchful eye ... (PRINCESS PACKERS... part of MEATHEAD MOVERS) then watch EVERY SINGLE THING THEY DO!! Do NOT UNDER ANY CIRCUMSTANCES HAVE MORE THAN THREE MEN. I don’t care what they say. Six men are too many, five men are too many, and four men are too many!! They try too seem professional at all times!